Right now I'm releasing my collection of Scientific Instruments from 15th to 18th century. I will offer additional object for sale in the next few weeks. In the meantime I have built up a virtual collection on the web. 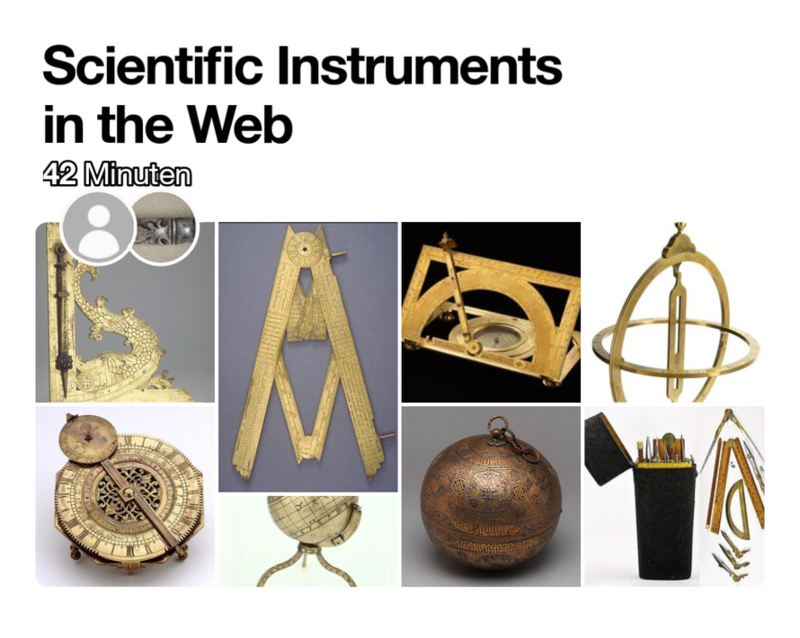 I used Pinterest in the collection "Scientific instruments in the Web" to provide a broader fan base. New links are added daily. Follow me and look forward to the great objects from the past. Please go to Pinterest.com by this link and you will find my virtual collection with around 1500 objects. Enjoy you. All objects from my collection are for sale! Please contact me for questions.